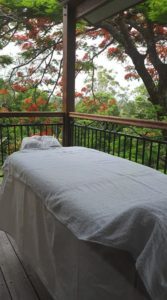 Book your professional and trusted massage on the Sunshine Coast with a reliable Body Balance Mobile Massage therapist. 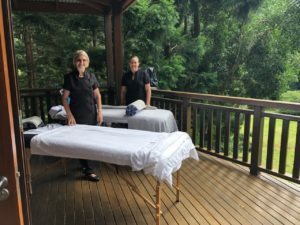 Body Balance Mobile Massage has a team of highly skilled mobile massage therapists on the Sunshine Coast who are committed to providing you with the highest level of service. Our massage therapists are warm, friendly and professional. We take the time to discuss your needs so that you can get the most out of your session. 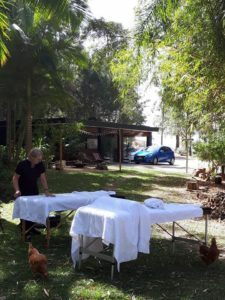 So whether that is pain relief, relaxation or addressing an injury, each massage session is treated as unique. 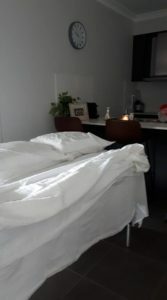 We offer therapeutic massage, remedial massage, relaxation massage, pregnancy massage, day spa packages and couple massage. Our team love to look after individuals, couples or groups (e.g. hen’s parties and wellness retreats). We’re only happy if you’re happy! We personally guarantee that if you aren’t happy with the service, we will give you a refund or re-do the treatment for FREE! Relax after your treatment! Step off life’s busy treadmill and enjoy your own little sanctuary of heavenly bliss. Body Balance Mobile Massage is for those who seek relaxation and rejuvenation. Allow yourself to succumb to tranquillity with our professional, qualified massage therapists. We travel to all areas of the Sunshine Coast, including Caloundra | Maleny | Montville | Mooloolaba | Maroochydore | Coolum | Noosa Heads | and everywhere in between! All our therapists are members of a professional massage association. 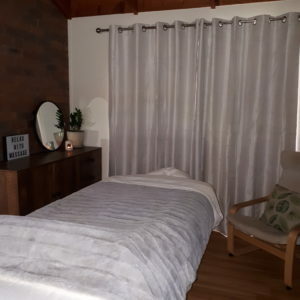 We also only schedule a maximum of 4 massages per day per therapist, so it is best to book well in advance.